Find hotel near Museu D'idees I Invents D .. Recent addition to the fascinating array of Barcelona’s Museum, what makes the MIBA or the museum of Ideas and inventions special is that it focuses on catering to the young visitors. Ideal for family and kids, this museum is spread over 5 sections which has a mix-trix of both essential as well entertaining inventions. Another striking feature of the museum is a special section for kids where they can invent and initiate new ideas. Every month, the best and the most unique idea gets patented! Walk in here with your kids, have a great learning time with fun and also unleash the little scientist and innovator in your child! For guided tours, call ahead of your visit. How popular is Museu D'idees I Invents De Barcelona? People normally club together Parc Del Laberint D'horta and Placa Reial while planning their visit to Museu D'idees I Invents De Barcelona. This is a private business passing themselves off as a museum. All we found was a series of concepts from children. No actual inventions. They were only mockups of ideas kids came up with. My issue isn't actually with the content, but how they sell themselves as an 'invention museum'. They're more of a 'kids' invention fair'. Entry was too expensive for what it was. Cool collection of inventions - for both adults and children. It is not uniquely Spanish, though, so there are probably better things to do in Barcelona if you only have a day or two. But could be a good option on a rainy afternoon or once you've seen other parts of the city. 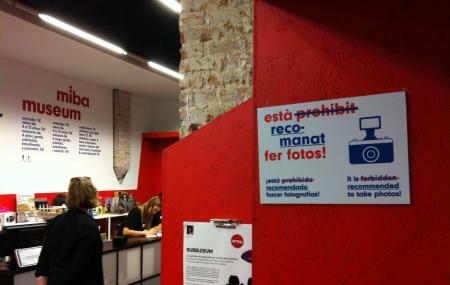 Sorry to say this but it's simply embarrassing to run this "museum" in the center of the city like Barcelona. I went with two of my kids age 7 and 14. They display a few very simple objects other with no English description and show a video of a flat screen about how this simple object works. You tube is far more informative and free! Very ordinary museum with a small array of inventions, that too only to see and not available to try. You find better inventions in any tech/geek store. Avoid it.